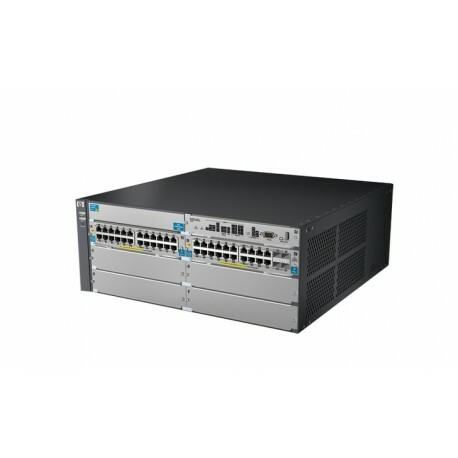 The HP 5400 zl Switch Series is a HP Networking ASIC based modular switch designed for enterprise-edge, SMB, and branch office core deployments. This Layer 3 switch has 760 Gbps backplane and license free software with an advanced Layer 2 and 3 feature set including IPv6, IPv4 BGP, policy based routing, OSPF and robust QoS. Virtualization with HP AllianceOne solutions and flexible connectivity including 1 and 10 Gigabit Ethernet and PoE+, the 5400 zl Switch Series is Software-defined Network (SDN) ready with support for OpenFlow. 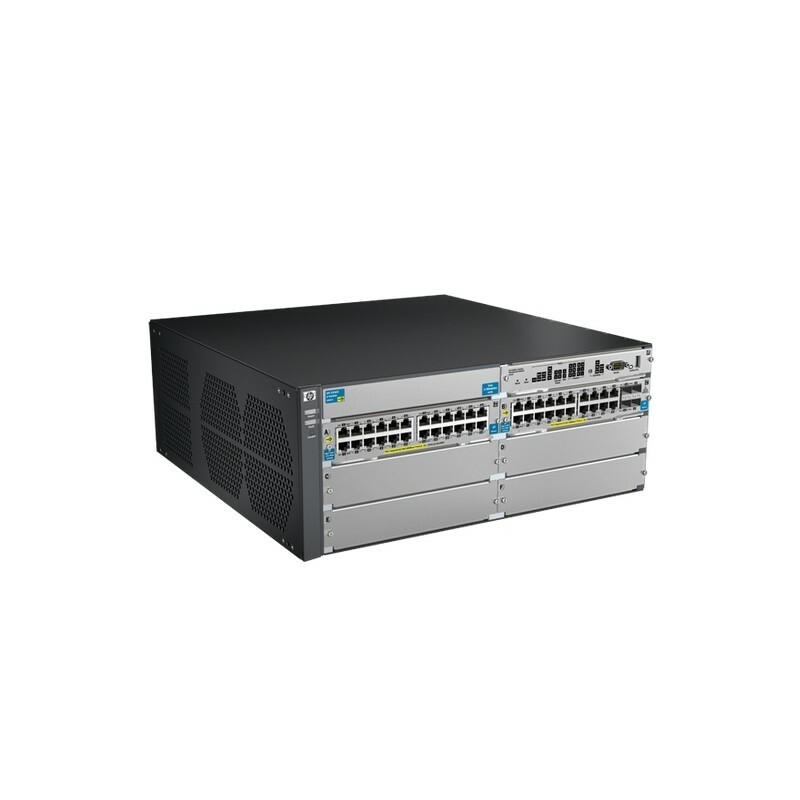 The HP 5400 zl Switch Series provides flexibility, scalability and ease of use for enterprise edge, SMB, and branch office core deployments. This modular switch has license free software with an advanced Layer 2 and 3 feature set; IPv4 BGP, policy based routing, IPv4/IPv6 OSPF, and robust QoS. Purpose-built HP Networking ASIC delivers wire-speed classification and policy enforcement. This hardware-based control of access and traffic allows protection, detection and response to network threats with no network performance degradation. 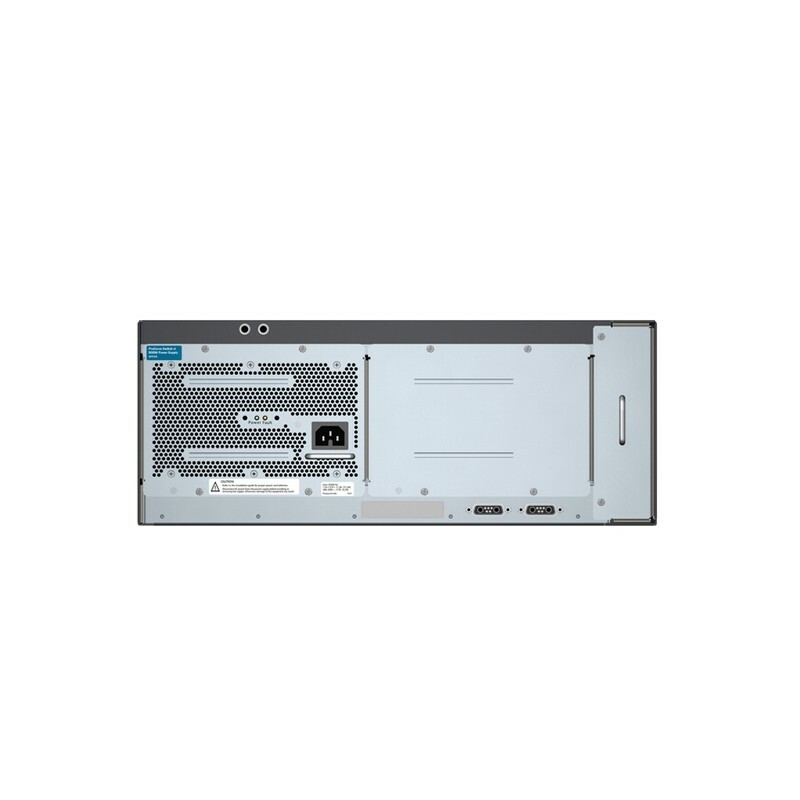 Flexible connectivity options with 6 or 12 slot chassis with support for 10/100, Gigabit Ethernet and 10 Gigabit Ethernet (10GBASE-T and SFP+), and PoE+. Robust virtualization with versatile HP AllianceOne service modules. Software-defined Network (SDN) ready with OpenFlow support for future proofing your network. 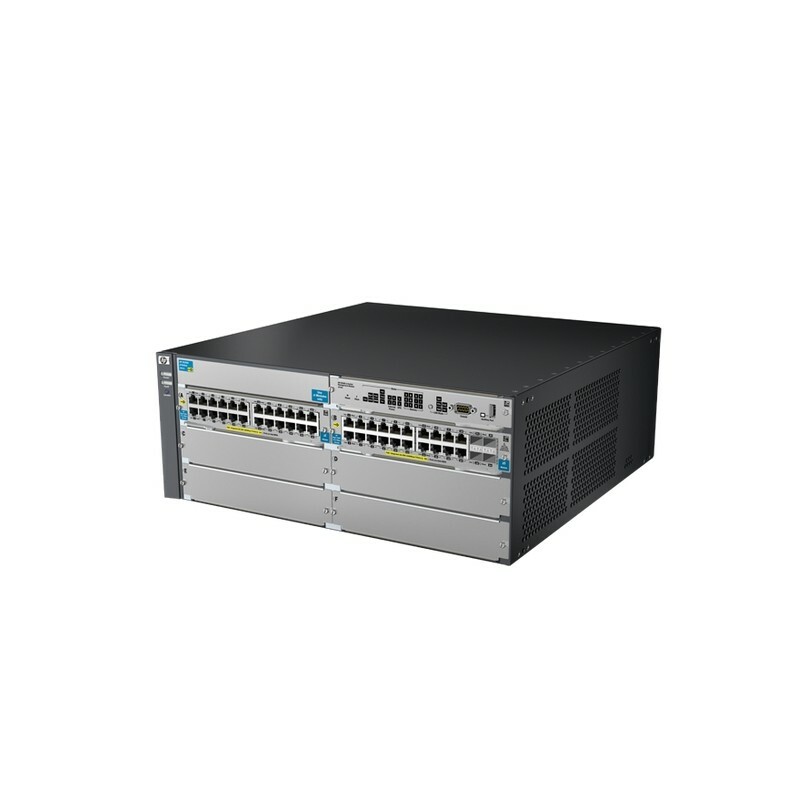 The HP 5400 zl Switch Series includes security and quality of services features so your network can more securely deliver the performance your users require. Flexible authentication options include Local MAC Authentication, 802.1X, MAC and Web Authentication, for enhanced security and policy-driven application authentication. Advanced distributed denial of service (DDOS) protection, such as DHCP Snooping, IP Source Guard, and ARP Protection, and flexible traffic controls, such as policy-based routing, QoS, and ACLs, to manage end-to-end application priorities. Powerful multilevel-access security controls, such as varying security management login, RADIUS/TACACS+, and SSH to enhance security and control change management access. Defend the edge of your IPv6 network with DHCPv6 Protection and Dynamic IPv6 Lockdown. 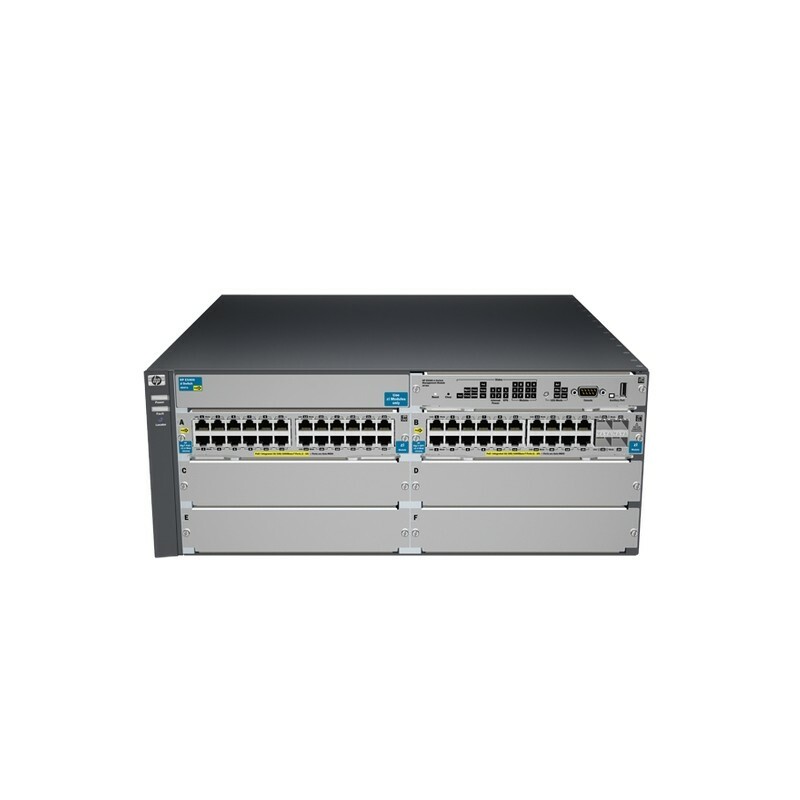 The HP 5400 zl Switch Series can be seamlessly managed with HP Intelligent Management Center (IMC) Software Platform to provide end-to-end network transparency with consistent network experience through comprehensive configuration, compliance and policy management. RMON, XRMON and sFlow provide advanced monitoring and reporting capabilities for statistics, history, alarms and events.